Extinction Rebellion Chicago is part of the global Extinction Rebellion (XR) group and is dedicated to non-violent direct action to force governments to act to halt global warming. XR is currently active in more than 30 cities across the U.S. and dozens of countries around the world! See the map below. Last week was XR’s International Week of Rebellion. Check latest newsletter from XR London. US action roundup from last week here. Global action roundup here. Chicago update still in the making, but see something about our 4/12 action blocking the Energy Forward Conference here and here and about our 4/15 event at Thompson Center here, here, here and here. 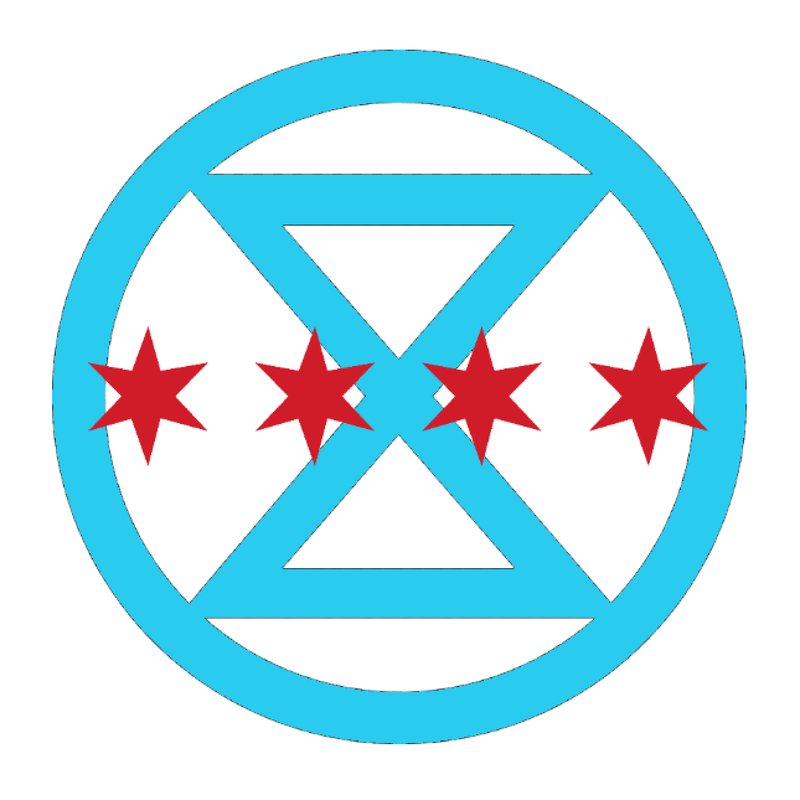 Check our Facebook page for upcoming Extinction Rebellion Chicago events! Find XR Chicago on Twitter and Instagram! Check our BLOG for the latest posts! Check ExtinctionRebellion.us, the website for all U.S. Extinction Rebellions groups. XR started in the UK last fall. Last November 17, more than 5,000 shut down central London for a number of hours by blockading bridges across the Thames (see here and here). Here’s a Guardian video about the London action. XR and climate nonviolent direct action was quickly endorsed by movement and intellectual leaders like Noam Chomsky, Naomi Klein, and Bill McKibben. There was extensive press coverage, including this story by the BBC. XR got going in NYC in December and has spread across the US, including starting in Chicago in January.